But public data show that the amount of global warming avoided by imposing costly new methane regulations on oil and natural gas activities would be almost zero. According to the EPA, methane emissions in the United States only constitute about 10 per cent of total U.S. greenhouse gas emissions. Methane has a warming potential that is about 25 times greater than carbon dioxide, according to the EPA and the U.N. Intergovernmental Panel on Climate Change (IPCC), and the 10 per cent figure takes that higher warming potential into account. EPA estimates that all U.S. oil and natural gas systems emitted 232.4 million metric tons of CO2 equivalent (MMT CO2 Eq.) of methane in 2013, the most recent year for which data are available. The means oil and natural gas systems combined account for about one-third of total U.S. methane emissions. Notably, this figure incorporates EPA’s recently revised numbers, which increased the estimated amount of methane emitted by 27 per cent — and which may be based on flawed assumptions. EPA appears to have taken emissions data from large reporting facilities and simply assumed that much smaller facilities — which do not report to EPA — have similar emissions rates. Still, when you’re talking about millions of metric tons, it sounds significant. The media has given us an endless supply of frightening headlines about methane, and drilling critics have done their part to gin up fear about yet another odorless and colorless gas. In 2013, total U.S. greenhouse gas emissions were 6,811.1 MMT CO2 Eq. This means methane emissions from oil and natural gas systems represent only about 3.4 per cent of all the greenhouse gases emitted in the United States. But what if U.S. greenhouse gas emissions were so large that even a small percentage of them could have a dramatic impact on the earth’s climate? 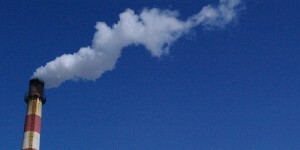 If that were the case, then 3.4 per cent of total U.S. emissions would not be something to dismiss. According to calculations from Chip Knappenberger, the assistant director of the Center for the Study of Science at the Cato Institute (a free market think tank), it takes roughly 1,767,250 MMT CO2 Eq. to raise global average temperatures by one degree Celsius. The EPA says it plans to reduce methane emissions from the oil and natural gas sector by 40 to 45 per cent below 2012 levels by 2025. The new rules were proposed before EPA revised its methane emissions data, and those upward revisions — flawed though they are — are only currently incorporated into the agency’s 2013 estimates. So we’ll assume the 45 per cent reduction target applies to emissions in 2013, which comes out to 92.96 MMT CO2 Eq. by 2025. We’ll also assume that methane emissions every year from 2025 to 2100 — the year to which many climate models currently forecast — are kept 92.96 MMT CO2 Eq. below where they would have been without EPA’s rules. Multiplying 92.96 MMT CO2 Eq. by 76 years gives us 7,064.96 MMT CO2 Eq. of total avoided methane emissions. To get the global temperature impact, we’ll divide 7,064.96 MMT CO2 Eq. by 1,767,250 MMT CO2 Eq., which gives us 0.004 degrees Celsius, or four one-thousandths of one degree, of avoided warming by the year 2100. Mr. Knappenberger, with the Center for the Study of Science, has estimated the avoided warming from EPA’s methane rules to be even smaller: 0.002 degrees Celsius by the end of the century. Critics have claimed methane emissions could be nearly twice as much as what EPA estimates. But even if methane emissions were ten times larger than what is indicated in EPA’s data, the global temperature impact of EPA’s rules would still be virtually zero. For such de minimis climate benefit, the economic impacts of these new regulations could be serious, especially for the men and women working in the oil and natural gas industry already suffering from a difficult market. Some financial experts, for example, say EPA’s methane rules could wipe out smaller companies who are also feeling the pinch from low commodity prices. NERA, which has also conducted economic analyses for the U.S. Department of Energy, found that the cost of EPA’s methane rules would be as high as $155 million in 2020, or about three times larger than EPA’s projected cost. An EID analysis last year also identified the flawed basis on which EPA has proposed its new methane regulations, including inflated price estimates and emissions assumptions that are inconsistent with the agency’s own data. 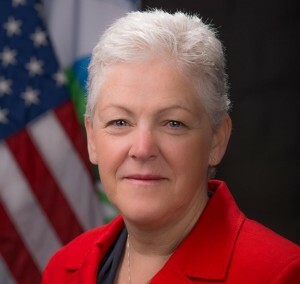 The head of the EPA, Gina McCarthy, recently claimed that the industry has not done well in keeping its methane emissions in check, while curiously also admitting that EPA is still just learning about the oil and natural gas industry. Nonetheless, McCarthy said EPA has to move forward with what she called “common-sense” regulations. According to EPA, “common-sense” apparently means new regulatory burdens that fail to achieve any noticeable environmental benefit, with costs that the agency has failed to justify. 1 Comment on "The climate math of EPA’s costly methane rule"
Neither side provides hard data and descriptions of the actual sources the EPA is regulating. I’m sorry, but an article that tosses around endless figures but fails to show a simple example of a gas leak source, how the EPA intends to regulate it, the cost, and the supposed impact would be much more effective.